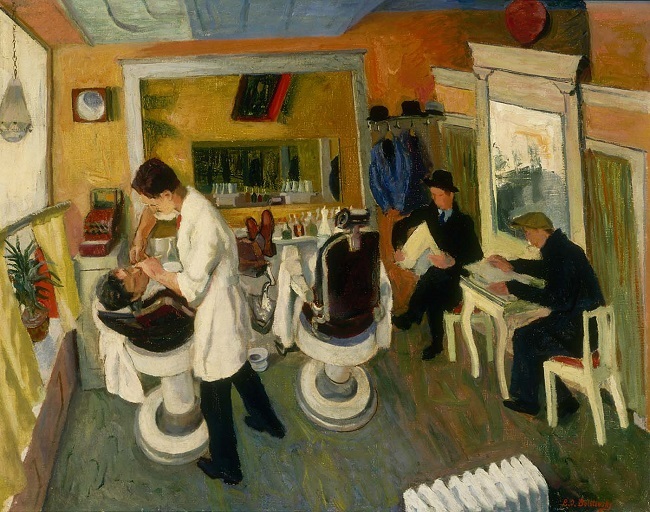 In the Barber Shop (1934), oil on canvas by Russian-American painter Ilya Bolotowsky, completed under the auspices of the Public Works of Art Project. Transferred from the U.S. Department of Labor to the Smithsonian American Art Museum. I read “Hair Cut” on Friday and I can’t shake it out of my mind;—in fact the impression it made has deepened with time. There’s not a man alive who could have done better, that’s certain. 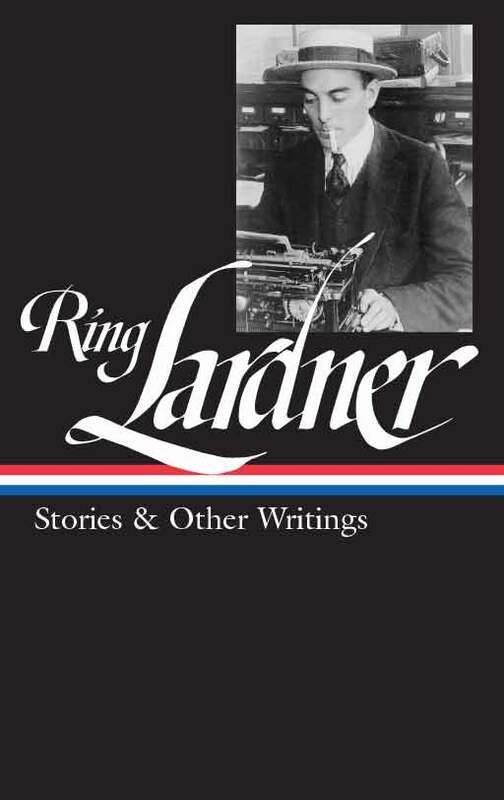 Everyone will tell you this, or something like it I guess, so there’s little use in my doing it.—But it is a most biting and revealing story and I’d like to say so. Note: On page 560, there are several movie references. Gloria Swanson (1899–1983), who would most famously play Norma Desmond in Sunset Boulevard (1950), was a star of dozens of silent films during the late 1910s and early 1920s. Thomas Meighan (1879–1936) was Swanson’s costar in many films. The film The Wages of Virtue (1924) starred Swanson and Ben Lyon. I got another barber that comes over from Carterville and helps me out Saturdays, but the rest of the time I can get along all right alone. You can see for yourself that this ain’t no New York City and besides that, the most of the boys works all day and don’t have no leisure to drop in here and get themselves prettied up. . . .If you don't see this week's selection below, click here (PDF) or click here (Google Docs) to read it—free!